Harvest Automation Incorporated of Billerica, MA designs and manufactures robots for use in industrial material handling applications, warehouse fulfillment activities and agriculture and nursery operations. Their Omniveyor product family provides mobile robotic technology for assisting their human partners in labor-intensive tasks. The potted plants you may select for your home often come in plastic pots. The plants are grown in these pots from the start, and are initially tightly condensed for maximum–efficiency watering and fertilizing. As the plants grow, they need to be incrementally spaced farther apart to keep the leaves from touching, while remaining as close together as possible for efficient care. That’s where the HV100 robot comes in – assisting humans in the labor-intensive task of continually moving the plants farther apart. Some large-scale nursery operations may have as many as 1,000 acres of plants, and a team of HV100 robots can handle it effortlessly. Harvest Automation contacted Pivot Point for help with a particular fastening challenge. The HV100 incorporates a rear stabilizer disk to keep the robot from tipping too far backward when accelerating forward. This stabilizer disk had utilized an expensive torsion spring to provide a degree of pre-tension. Instead of a torsion spring, Harvest AI considered a wire rope lanyard produced by Pivot Point. “The wire rope lanyard is just as robust as the previous torsion spring, but much less expensive,” said Charlie Grinnell, co-founder of Harvest Automation. Pivot Point provided samples for testing, and also recommended changes to the configuration of the lanyard for further cost savings. “It is a good, simple solution,” Charlie explained. 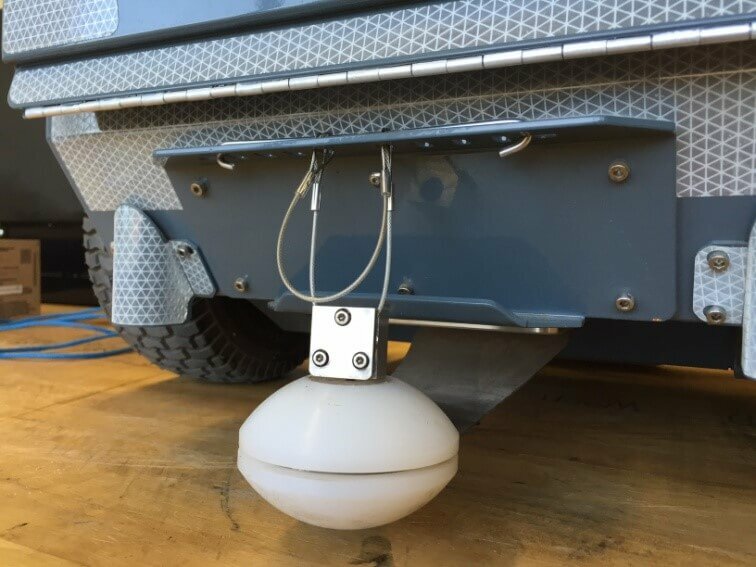 Pivot Point supplied two lanyards per robot that allow tension to be adjusted for a variety of operating surfaces, from smooth concrete to rough and rocky outdoor terrain. 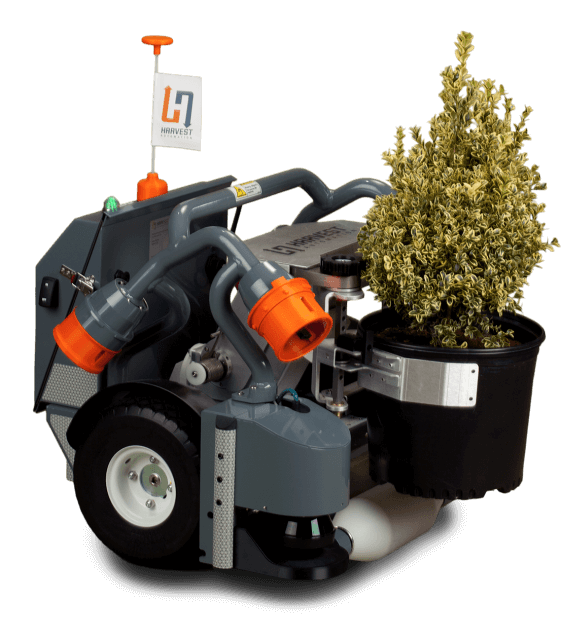 Visit www.public.harvestai.com to learn more about its robotic solutions for nursery operations, material handling and warehouse fulfillment operations.